Our Mission is to create a space for Peace and Healing to Enhance Spiritual and Personal Growth. 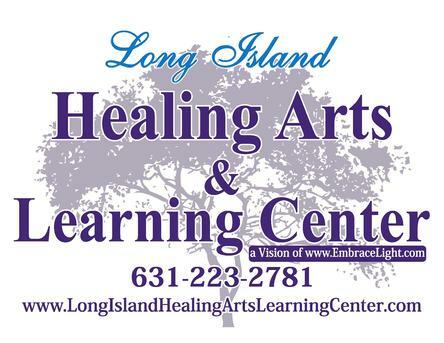 Long Island Healing Arts & Learning Center is a Vision of Embrace Light. It is a Holistic Healing and Learning center for those who seek alternative healing modalities to obtain Balance of the Body, Mind and Spirit. We see our healing & learning center as a positive gathering place of compassionate beings leading to advancement and expansion of society for the highest good and benefit of all. We see happy, honest, and ever-advancing societies of compassionate beings, all looking out for themselves and one another for the common good. We are Teachers, Healers, Lightworkers and Peacemakers. The Center offers Reiki, , Aromatherapy, Angel Readings, Craniosacral Therapy, Crystal Healing Bed Sessions, Meditation, Womb Blessings & Healings, Ceremonies, End of Life Doula, Young Living Oils, Certification Courses; as well as Reiki classes and other ongoing metaphysical workshops/circles to enhance one's spiritual and personal growth.